When there are toddlers and kindergarten children around, there will surely be some drama that comes up throughout the day or week. The good news is that the common drama tends to be about not sharing and picky eaters, but when issues come up that are more complicated, do you know how you would effectively communicate with your daycare? At ‘Lil Rascal Academy, we want to make sure you have the tools you need to quickly put a halt to difficult issues. 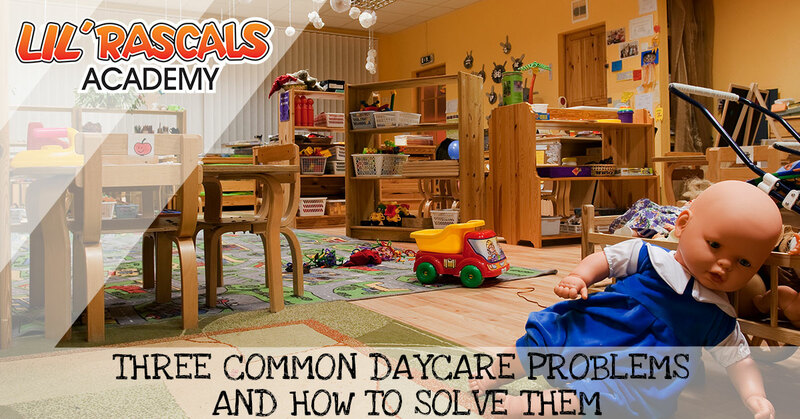 Here are some tips for the most common daycare issues. The staff at ‘Lil Rascals understands and is passionate about your child’s health. We know that proper nutrients throughout the day can help with learning and focus. However, if your child has food allergies or if you’re concerned about unhealthy snacks being provided, you should feel comfortable talking to us. When you pick up your child at the end of the day, feel free to speak to us privately about any concerns. Or if you want a one-on-one meeting to discuss the issue, we will be more than happy to make that happen. Every parent will have a different approach to potty training and we are happy to follow any processes that you already have in place. There may have been a time when you picked up your potty trained child from a daycare to find that they have a diaper on. Or on the other hand, your child might be potty trained at home and hasn’t quite committed to going on the potty at daycare. Whatever situation you are facing or have been through before, we can assure you that we will work together to make potty training a positive situation. And besides, potty training is really done on the child’s time anyway. The last thing we want for you is to have to deal with a fussy child who missed their nap, or who is staying up later than usual because they did nap at daycare and could have done without it. Just like nutrition, we know that getting a good night’s sleep and a good rest during the day can be beneficial for your child’s education. If you are trying to skip the afternoon nap to ensure a good sleep at night, we can offer a “quiet time” with some special toys for your child. They will be able to stay awake, but still offer the other children a time to nap. If this challenging situation arises, it’s important to determine why a child is biting. It’s often a method of communicating or expressing frustration for a child. 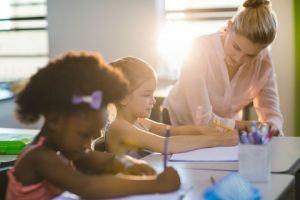 Even though it may make sense in the child’s mind, there still needs to be consequences to help them understand why it’s an inappropriate thing to do. In this situation, we will do our best to redirect their actions and behavior to avoid biting in the first place. And again, if you are ever concerned about biting at daycare, please talk to us. There will always be some issues that arise at a daycare, but the important thing is to always keep a line of communication open between parents and providers. Whether it’s as simple as adjusting a meal plan or dealing with children who fight, you can place your confidence in the staff at ‘Lil Rascals Academy. Learn more about our daycare and come by for a visit today.